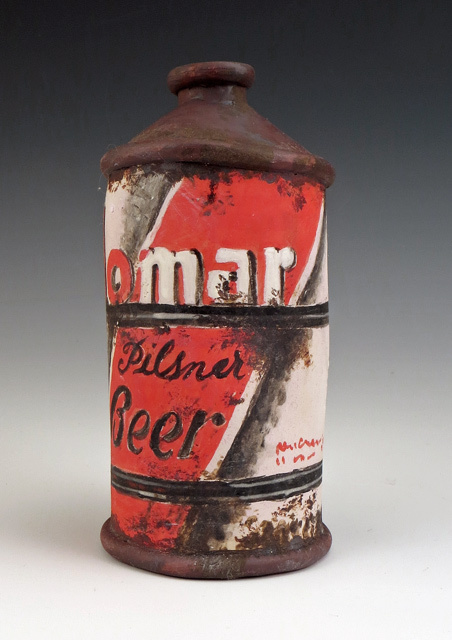 Completely hand-formed and decorated, this ceramic conetop beer can features the Palomar label from the Monarch Brewing Company of Los Angeles circa 1936-1942. 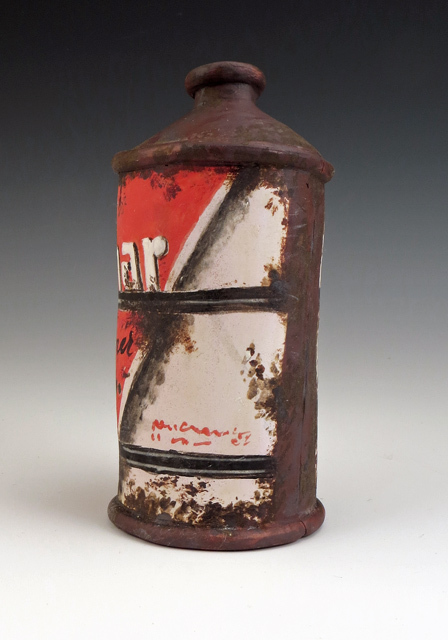 It is nicely designed in black, white and red with an Art Deco feel. Be sure to see all the photos to enjoy. 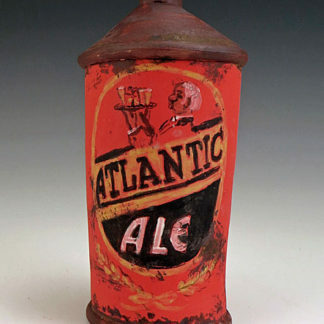 This ceramic conetop beer can reflects a vintage brand from the first half of the 20th Century. 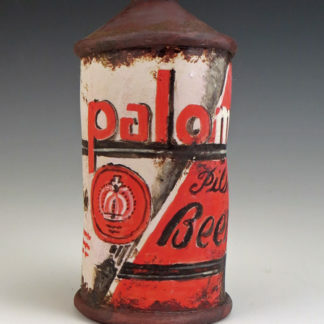 Balboa Brewing Company began in San Diego, CA in 1933, but quickly expanded to a Los Angeles location and renamed itself to Monarch Brewing. 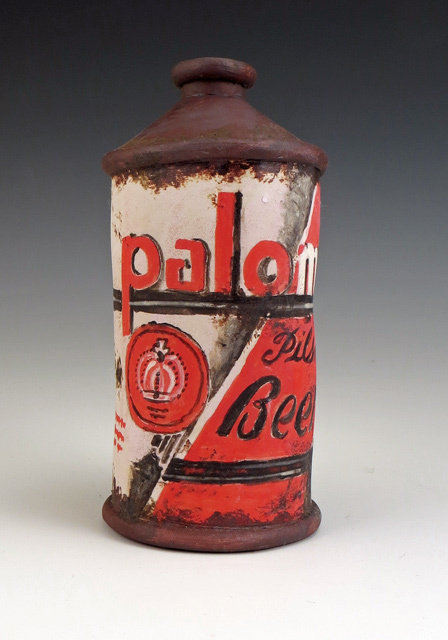 Palomar is one of its snappiest labels in graphic black, red and white, with subtle Art Deco touches. 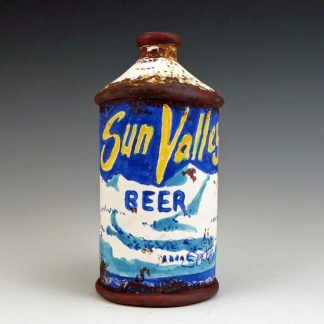 This piece is entirely hand-formed and painted with fired-on ceramic colors. There are touches of rust and perhaps a dent. 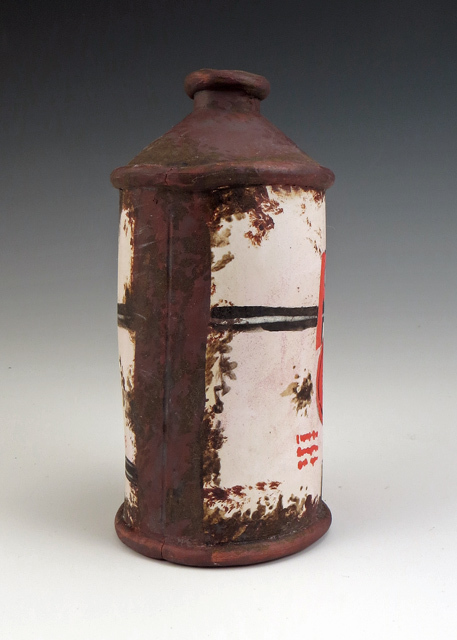 The interior lining is food-safe, so feel free to fill this with something great to sip in style. 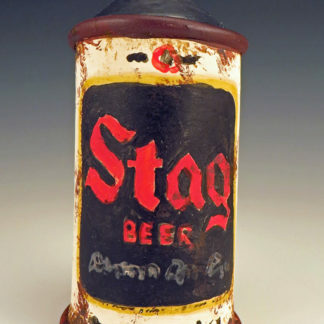 Enjoy it, too, on a shelf as decor – perhaps with a couple of others.